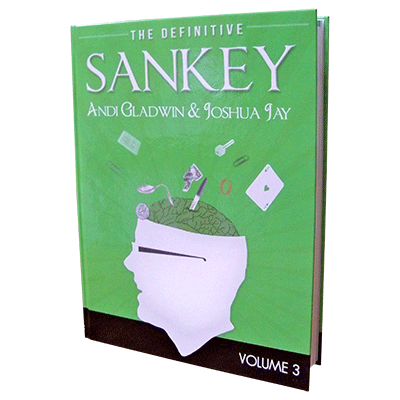 Today, when you order "Definitive Sankey Volume 3 (Book Only) by Jay Sankey ", you'll instantly be emailed a Penguin Magic gift certificate. You can spend it on anything you like at Penguin, just like cash. Just complete your order as normal, and within seconds you'll get an email with your gift certificate. The centerpiece of Volume 3 is the chapter of magic with bills. 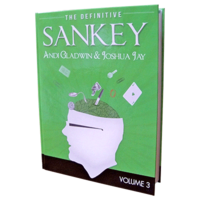 Sankey has done more work on close-up magic with borrowed bills than anyone else, and the finest of this material is collected here. 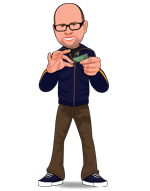 "Voodoo," "Montreal Transpo," and "Chameleon" are other standouts from chapters on magic with matches, borrowed decks, pens, coins, and fire.